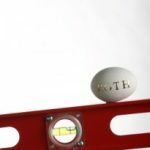 As a followup to Friday’s post on contributing to a traditional IRA and converting to a Roth IRA (i.e., funding a “back door” Roth) I wanted to spend a little time talking about Roth IRA withdrawal rules. 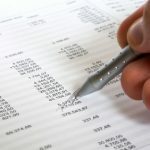 If I convert traditional, previously-deducted IRA funds to Roth IRA funds and then pay taxes on it, can I then withdraw the taxed contributions at a later time in order to purchase the investment property? I would not be withdrawing earnings, only the initial contribution. The short answer is yes – with some restrictions. Unlike the situation I talked about in my previous post, where you’re making a non-deductible contribution and then converting it, John is correct that he’ll have to pay taxes when he converts his deductible contributions (and any subsequent earnings). The reason for this is simple: you’ve never paid taxes on this money, so you have to do so before you can stick it in Roth IRA (since you pay taxes up front with a Roth). The real question is whether or not John can pull this money out without consequences at some point in the future — but presumably before he reaches retirement age. Of course, if he waits until age 59.5, then all bets are off. He’s free to withdraw whatever he wants, whenever he wants. But before that time… Can he make a penalty-free withdrawal to buy the family farm? For starters, we need to talk about the order of distribution. As with others types of IRAs, the IRS views all of your Roth IRAs (assuming that you have more than one) as a single pot of money. And when you withdraw, you are assumed to first be accessing your original contributions. 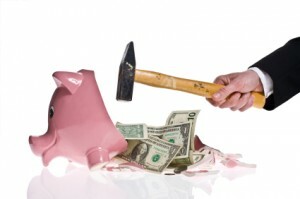 After that money is depleted, you are assumed to be accessing dollars that you converted. And after that, you are assumed to be accessing earnings. For original contributions: This would be money that he contributed straight into his Roth IRA, subject to annual contribution limits. As it turns out, you can withdraw your Roth IRA contributions at any time without paying any taxes (you’ve already paid taxes on this money) or penalties. For conversions: Conversions (money converted from a traditional IRA into a Roth IRA are treated similar to contributions, with an important difference. If you withdraw money that you converted into your Roth less than five years after the conversion, you have to pay a 10% penalty. 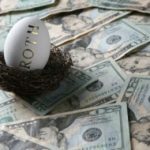 This stops people from simply converting their traditional IRAs into a Roth to gain immediate access to the money. But once the five year rule has been met, you can withdraw your conversions at any time without paying any taxes (you’ve already paid taxes on this money) or penalties. For any subsequent earnings: Finally, what about any investment earnings/gains that have occurred inside of you Roth? Let’s say you contributed a total of $10k over the years, and it’s now worth $12k. The last $2k that you withdraw would be the earnings. For starters, any earnings that are withdrawn less than five years after you opened your Roth IRA are subject to income taxes. Moreover, if you are under 59.5, the withdrawal will be taxable unless you meet certain exceptions, and you it will also be subject to a 10% penalty. Once you reach age 59.5 and your account has satisfied the five-year rule, you can withdraw your earnings free and clear. So what about these exceptions that I mentioned above? There are several things that will make a distribution “qualified, ” and thus not subject to taxes or penalties. One is reaching age 59.5 (and having satisfied the five year rule in the case of earnings). The others include: distributions made to a beneficiary after your death, disability, or using the funds to pay certain costs associated with being a first-time homebuyer. So…. The short answer is that yes, John can convert from a traditional IRA to a Roth IRA, pay any taxes that are due (just be careful about getting bumped into a higher tax bracket!) and then withdraw the conversions in five (or more) years without paying any additional taxes or penalties. Note that I’m not saying that this is necessarily a good idea — that depends on the details of John’s circumstances, and that’s a decision that he’ll have to make for himself after considering a number of factors. Rather, I’ve just focused on what’s possible, and when the penalties will (or won’t) kick in. The information given on “original contributions” is simple and to the point and is the same information I have heard for years. Here is where it deviates from simplicity: I have been contributing the max amount to my Roth IRA since 1998. Since then I have changed brokers often. According to the rules on original contributions I should be able to take out all of the contributions made since 1998 without any tax penalties, but if I go to my broker and try to take out all of my original contributions how will they determine that these are tax free? Am I require to provide documentation of all my contributions for the last 16 years? And if I don’t have the documentation and I out of luck? Let’s say it’s 2008, you’re 58 years old and you have a Traditional IRA with a balance of $200,000. 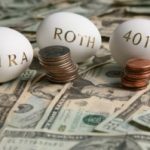 You decide to convert your Traditional IRA to a Roth IRA. After paying the applicable income taxes, you end up with $160,000 in a Roth IRA (don’t get confused by the dollar figure, it’s just an example… your individual tax liability will vary). In 2010, you’re 60 years old, and you decide to withdraw funds… What happens? Well, you can always withdraw your original contributions tax-free and penalty-free… So that’s not a problem. But if you want to withdraw investment gains, you’ll owe income taxes and a 10% Roth IRA early withdrawal penalty. In respect to the fiscal cliff’s increase in the capital gains tax rate to 20% (23.8% for high earners), the 10% tax penalty might be worth it to some people. Is the 10% penalty all there is or would there be an income tax on top of that? MOST!! questions answered, but one to clarify. I am 63 years old, I have converted to a Roth from a traditional…Can I withdraw any of the original conversion funds before the 5 year rule, tax free? Not any gains, but just part or all of the original conversion dollars that I have paid taxes on. Thanks for clarifying, Nickel. It appears that any money that I invest in a traditional IRA now is locked away for at least 5 years. The problem is that I am right on the threshold of the higher tax bracket,If I invest in a Roth I’ll be paying the higher taxes on a portion of the investment. In return, I get the flexibility of withdrawing the cash when the investment opportunity presents itself. When I get ready to complete my tax return this year I’ll make the final decision based on where my taxable income lands. Most likely I’ll go for a Vanguard Roth IRA. I’ll keep my risk level low since I will likely need to liquidate it.